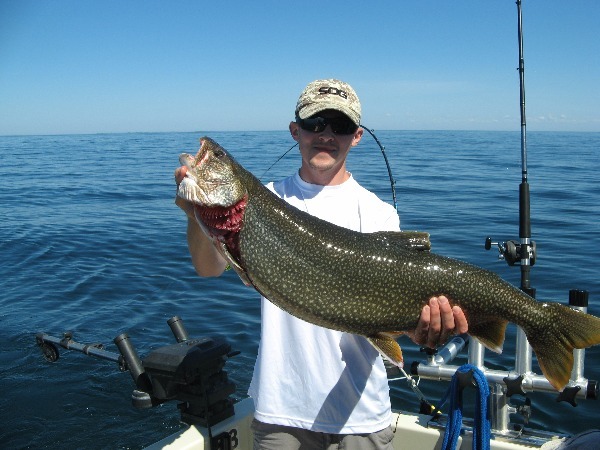 Perfect Weather Day on Lake Ontario Produces Lake Trout Limit! 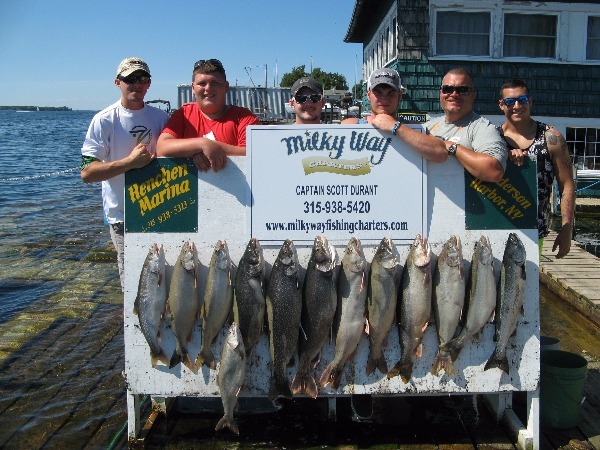 The Martin Wynn charter on Wed., July 5th boarded the Milky Way for a day of fishing on Lake Ontario. 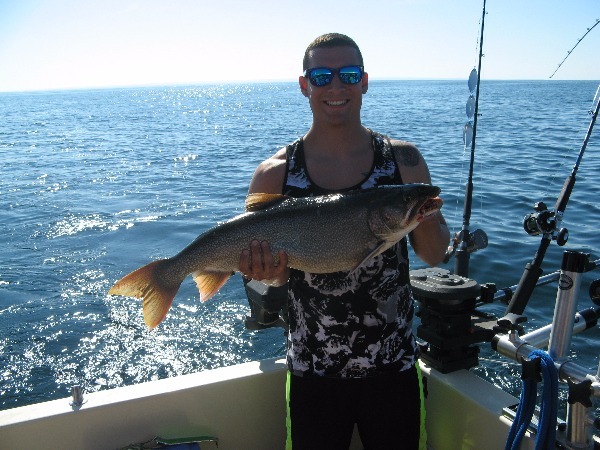 The six fishermen, Martin, Ethan, Jared, Daniel, Joshua and Robert all proved they could catch fish as they landed their limit of Lake Trout along with a King Salmon! 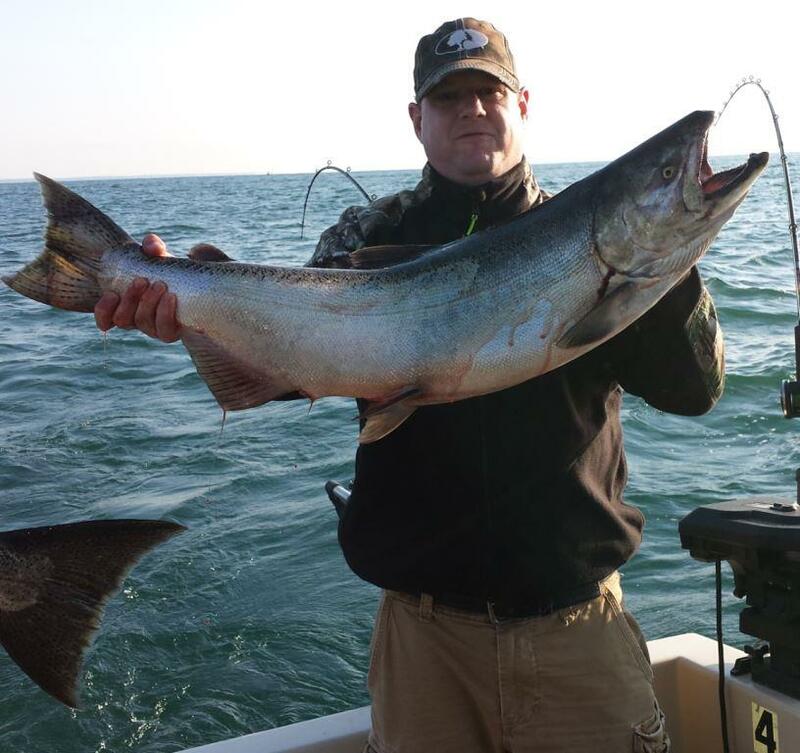 This charter turned out to be a very enjoyable day of fishing not only for the catch of fish, but because of a rare beautiful flat day on Lake Ontario with lots of sunshine and a slight breeze to cool everyone off from the hot sun! 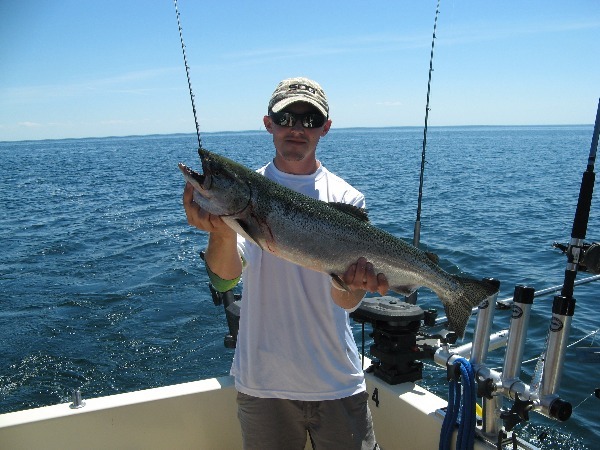 This was a perfect day for appreciating charter fishing on Lake Ontario! Kings Starting to Show Up in the Lanes! On Wed., June 28th, the Bob Zehr party boarded the Milky Way and traveled out to the shipping lanes to fish for Kings. The trip turned out to be worthwhile for the fishermen as they caught 3 skipper salmon and landed 2 nice mature Kings which were brought aboard. Best Man Is Also Best Man at Catching Lakers! 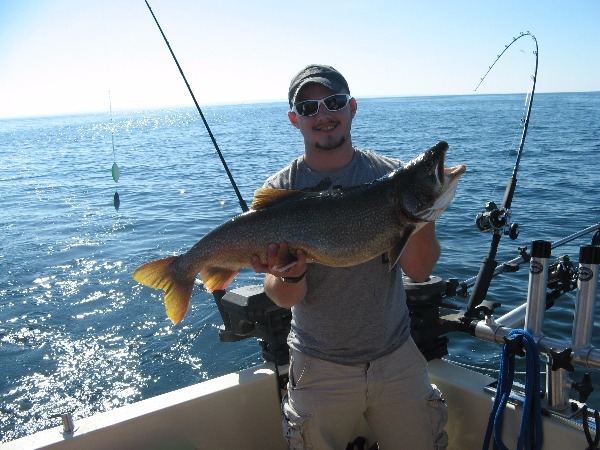 Saturday, May 27th, proved not only to be a wonderful day on the water but also a banner day for this catch and release Lake Trout charter.